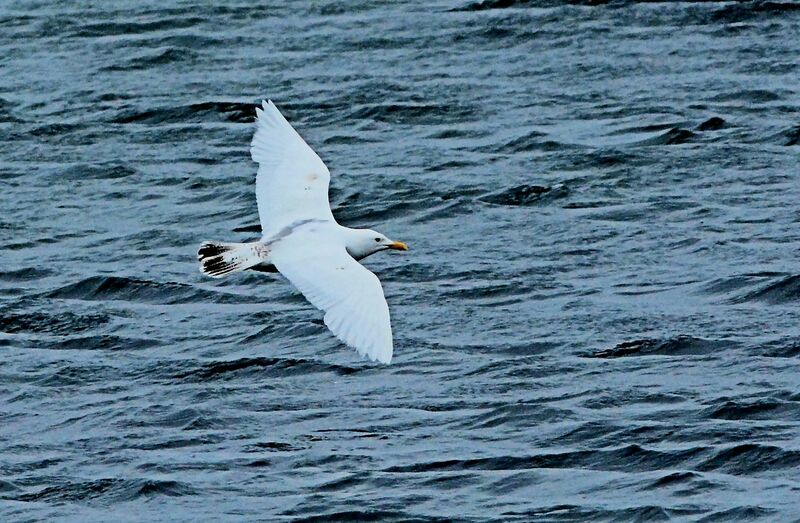 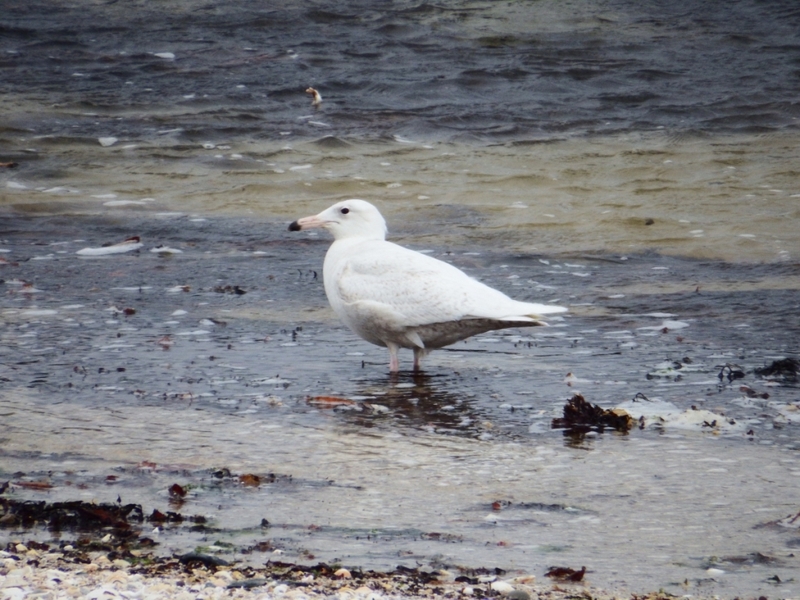 first-winter Iceland Gull – Campbeltown, Kintyre 29 May (Eddie Maguire). 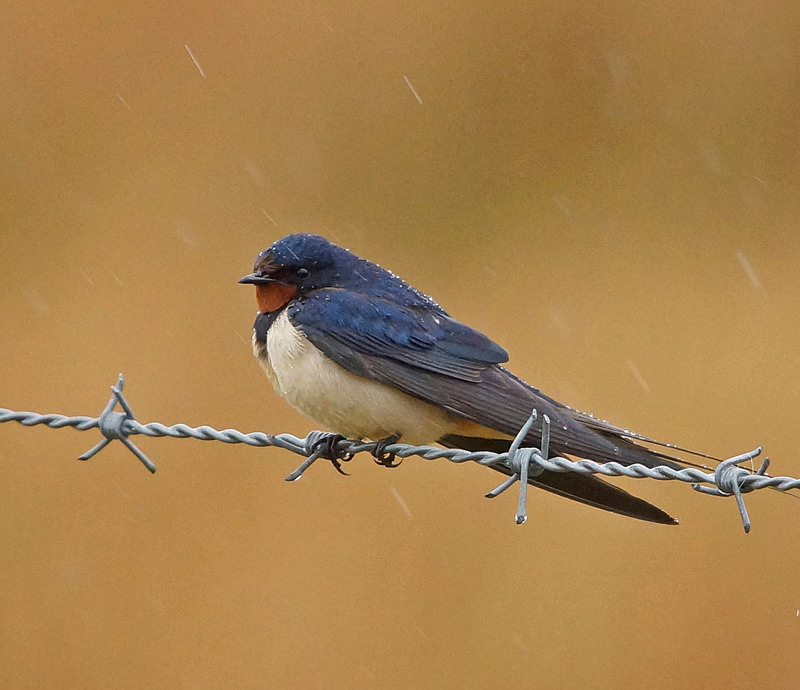 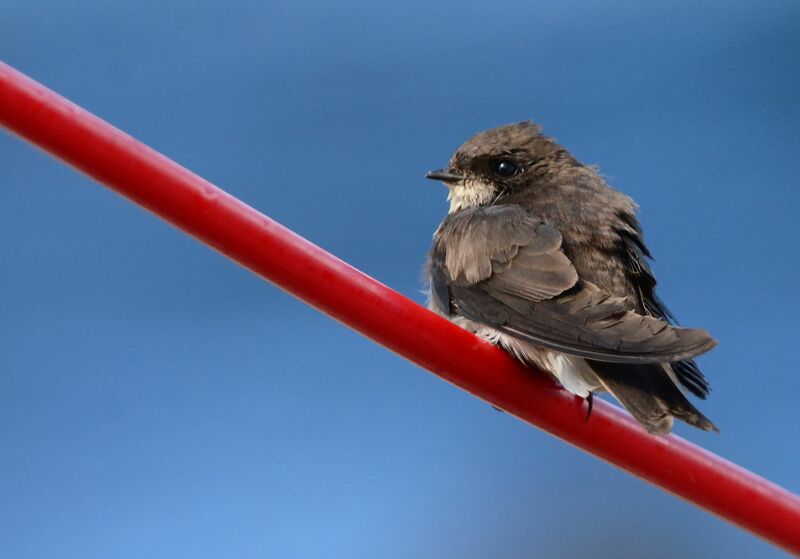 Sand Martin – MSBO, Kintyre 29 May (Eddie Maguire). 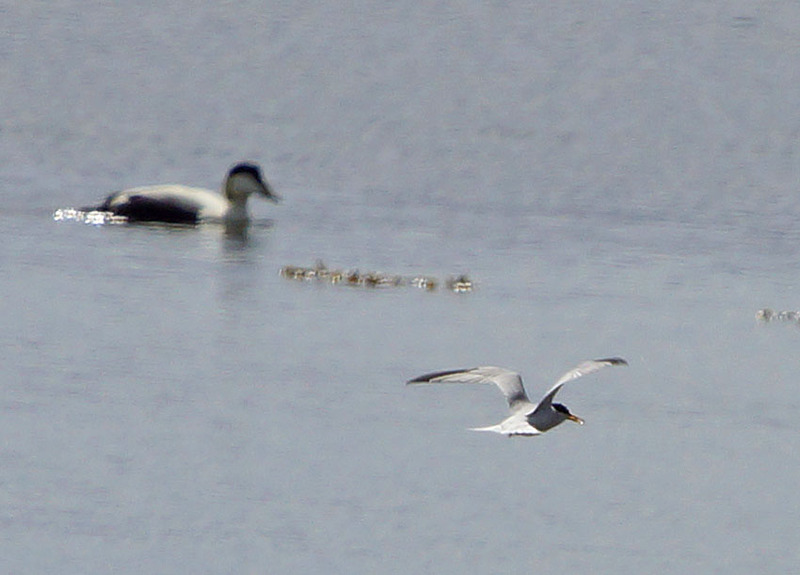 Little Tern – Loch Gilp, Mid-Argyll 29 May (Jim Dickson). 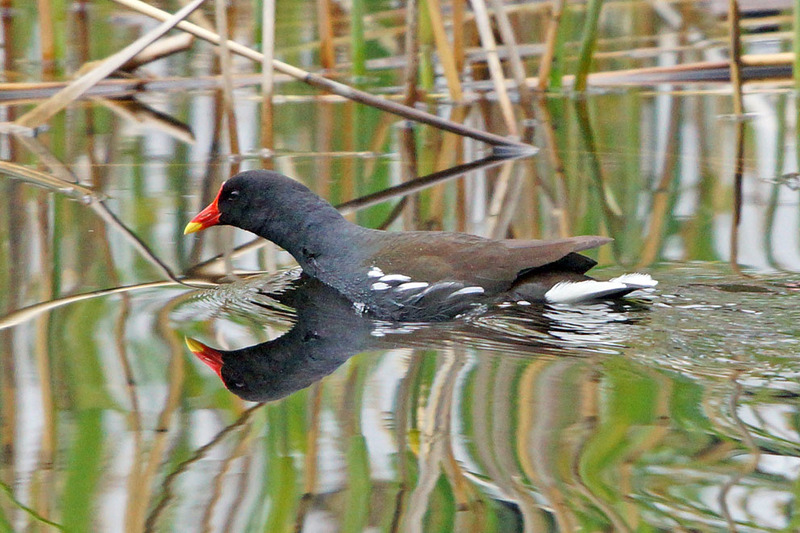 Moorhen – Bellanoch, Mid-Argyll 27 May (Jim Dickson). 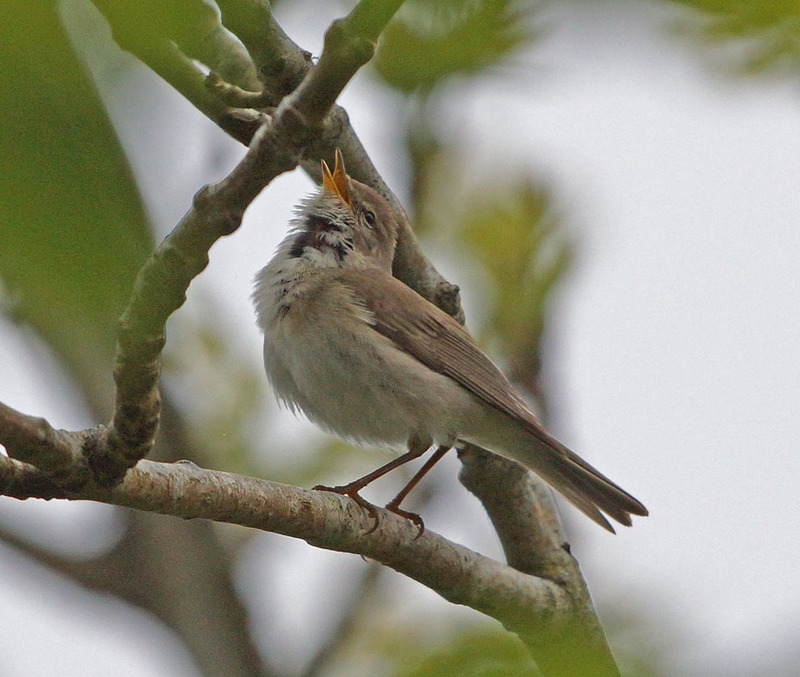 acredula type Willow Warbler – Bellanoch, Mid-Argyll 27 May (Jim Dickson). 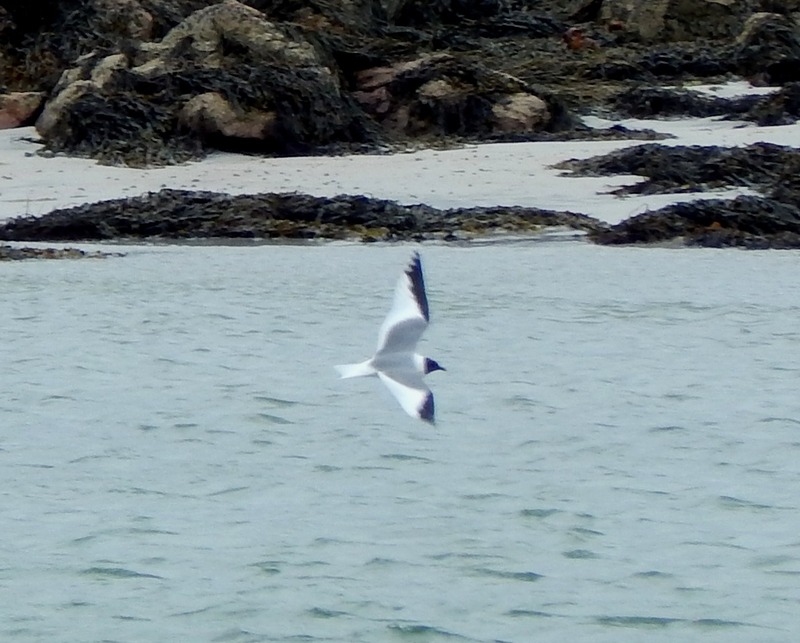 Sabine's Gull – Gott bay, Tiree 27 May (John Bowler). 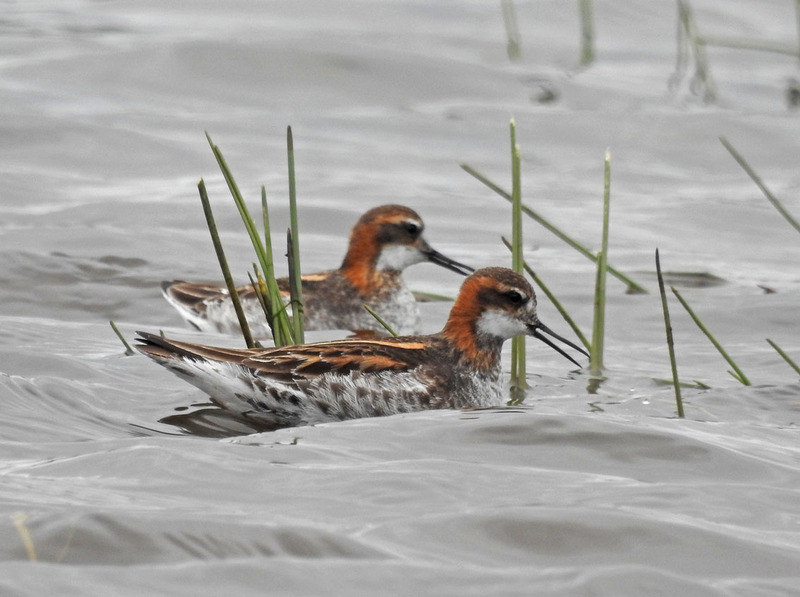 Red-necked Phalaropes – The Laggan (nr Campbeltown), Kintyre (Jim Dickson). 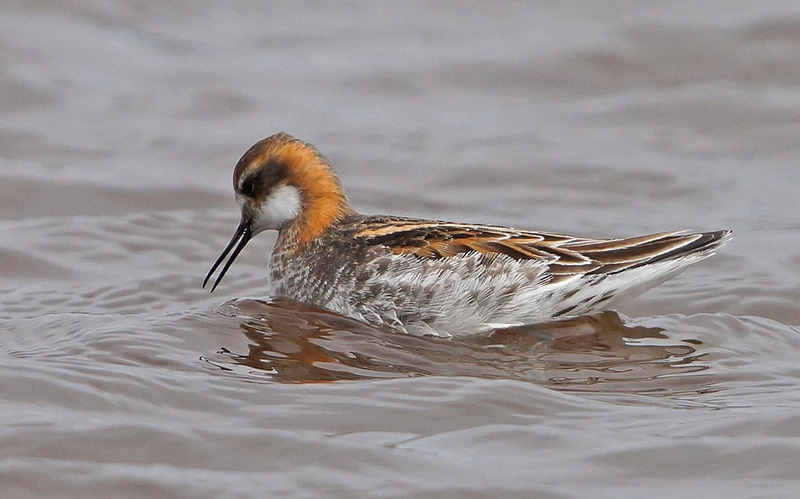 Red-necked Phalarope – The Laggan (nr Campbeltown), Kintyre (Jim Dickson). 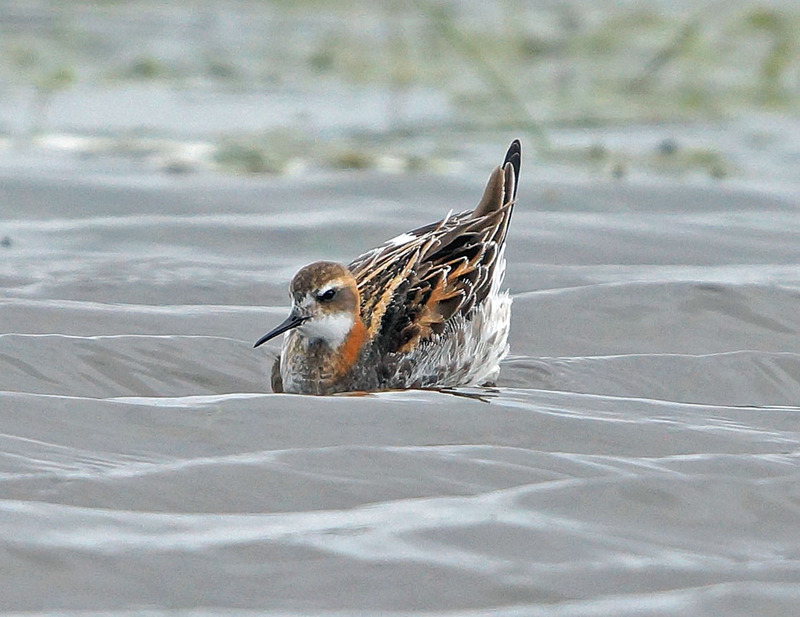 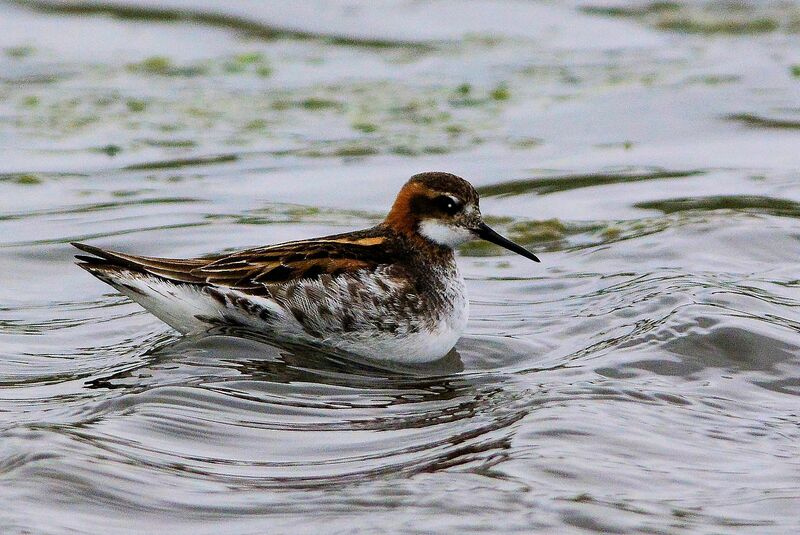 Red-necked Phalarope – The Laggan (nr Campbeltown), Kintyre (Eddie Maguire). 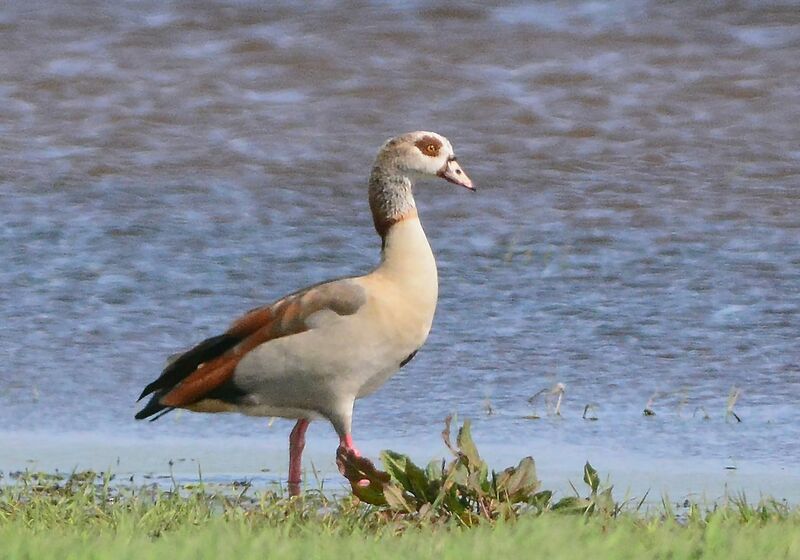 Egyptian Goose – The Laggan, Kintyre 22 May (Eddie Maguire). 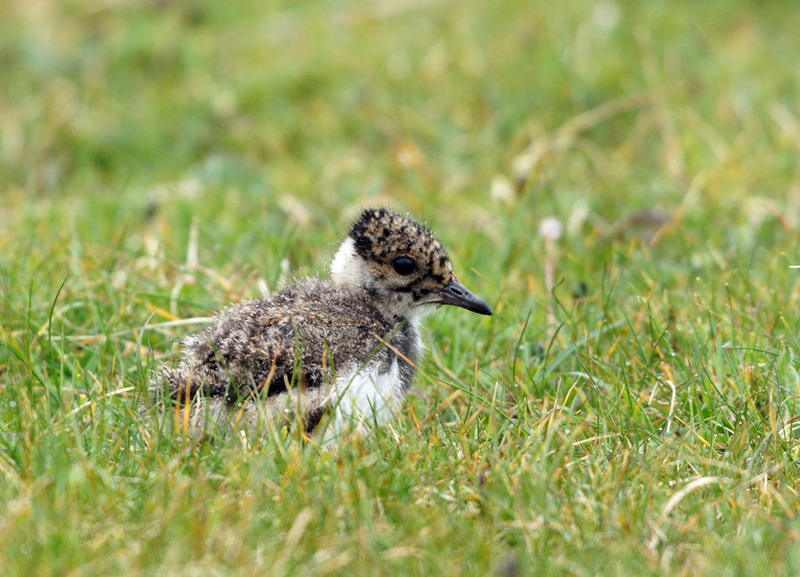 Lapwing chick – Balevullin, Tiree 20 May (Jim Dickson). 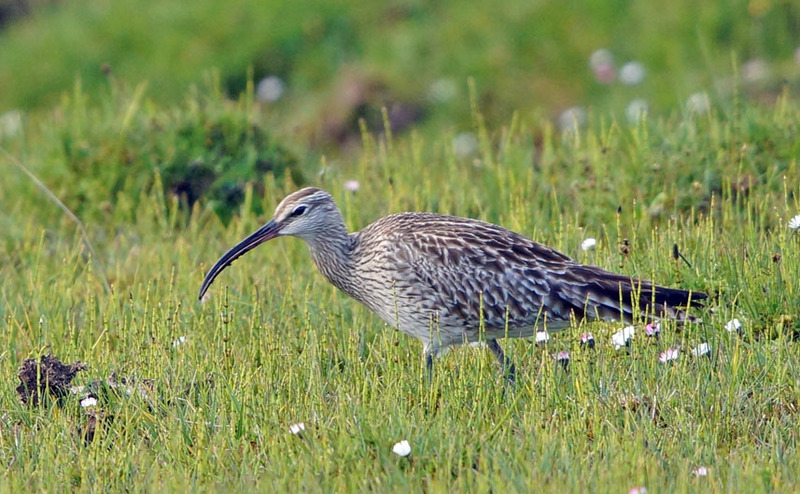 Whimbrel – Caolas, Tiree 19 May (Jim Dickson). 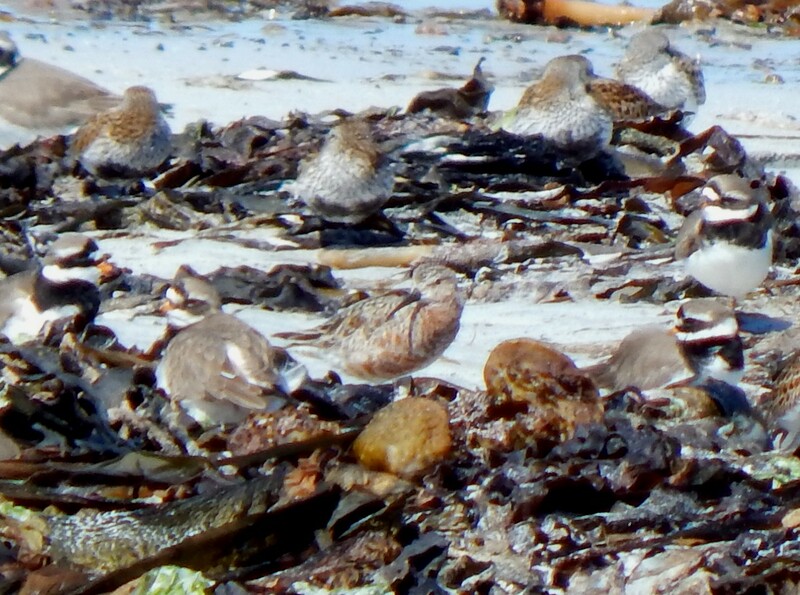 Dunlin - Gott Bay, Tiree 22 May (Jim Dickson). 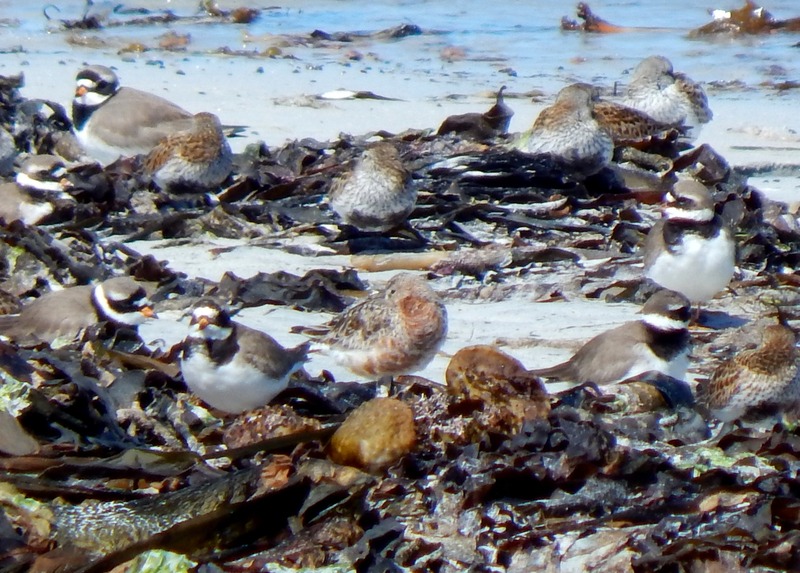 Sanderlings - Balephetrish Bay, Tiree 18 May (Jim Dickson). 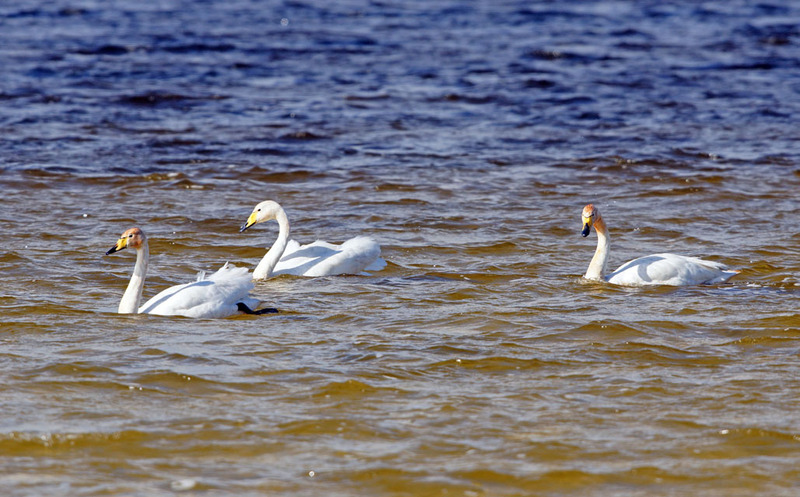 Whooper Swans - Loch Bhasapol, Tiree 18 May (Jim Dickson). 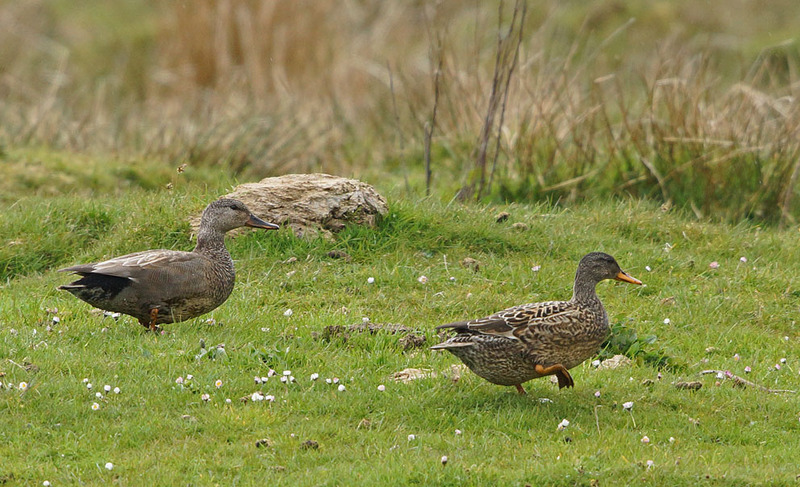 Gadwall pair – Tiree 16 May (Jim Dickson). 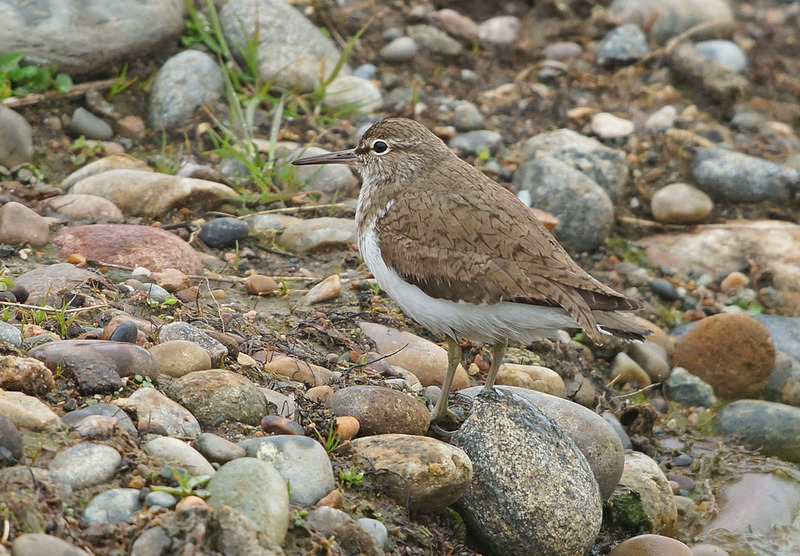 Common Sandpiper – Tiree 21 May (Jim Dickson). 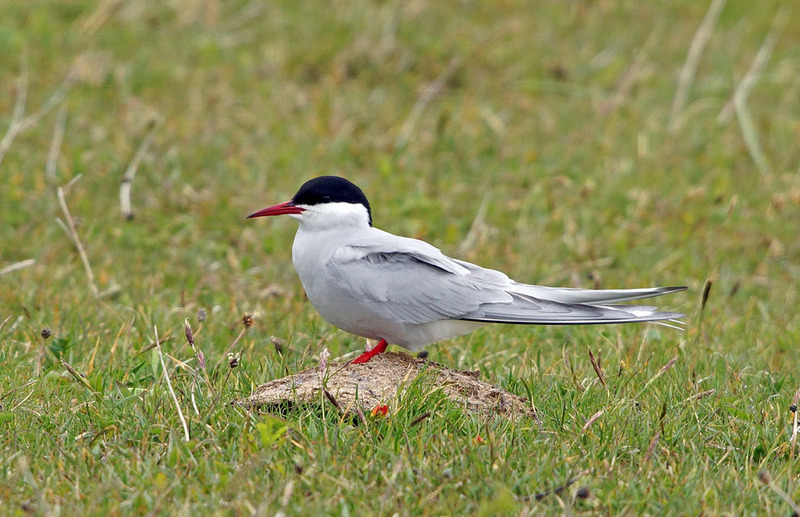 Arctic Tern – Tiree 22 May (Jim Dickson). 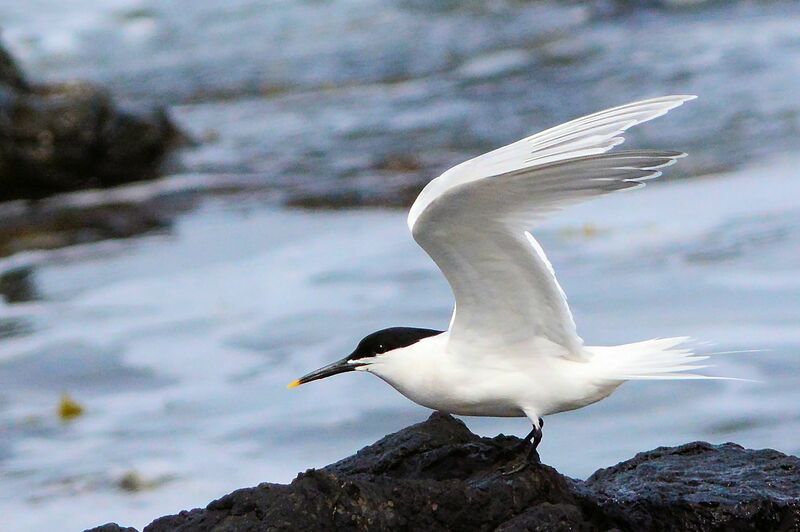 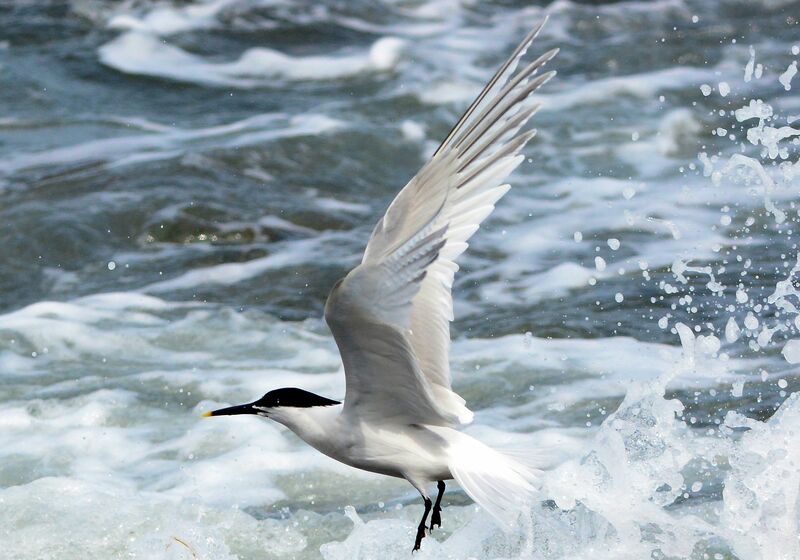 Sandwich Tern – MSBO, Kintyre 17 May (Eddie Maguire). 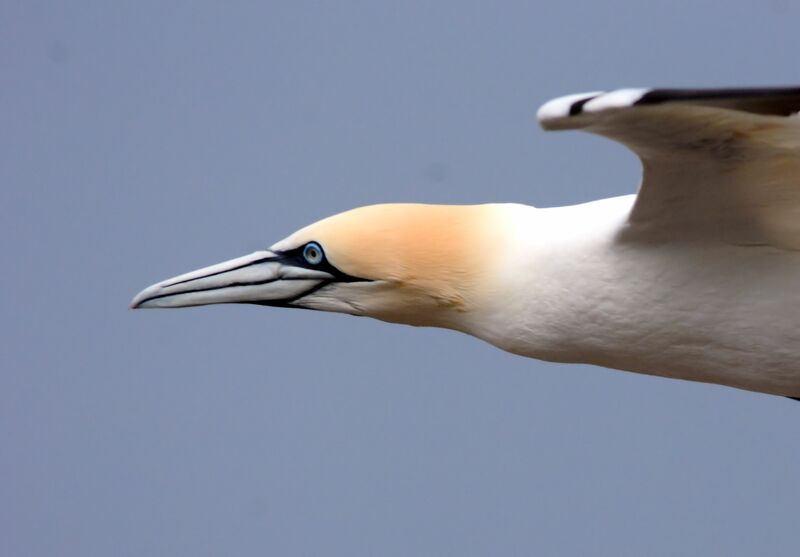 Northern Gannet – MSBO, Kintyre 17 May (Eddie Maguire). 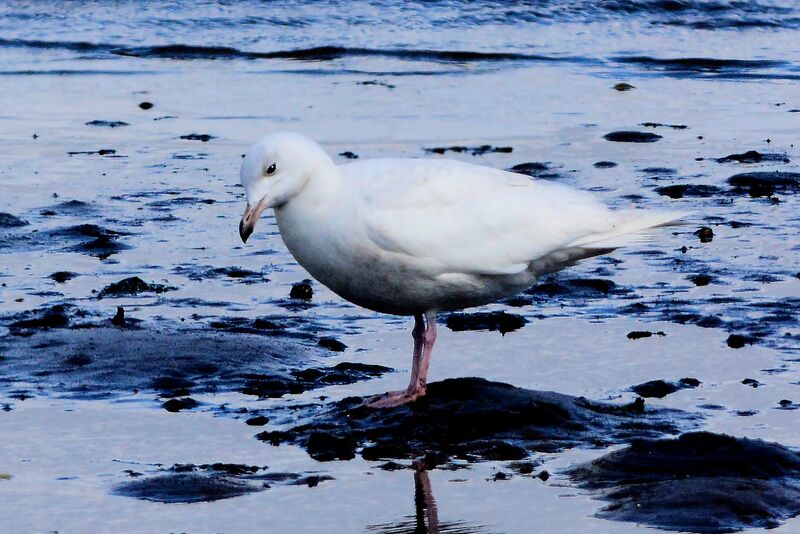 2nd calendar year Glaucous Gull – Barrapol, Tiree (John Bowler). 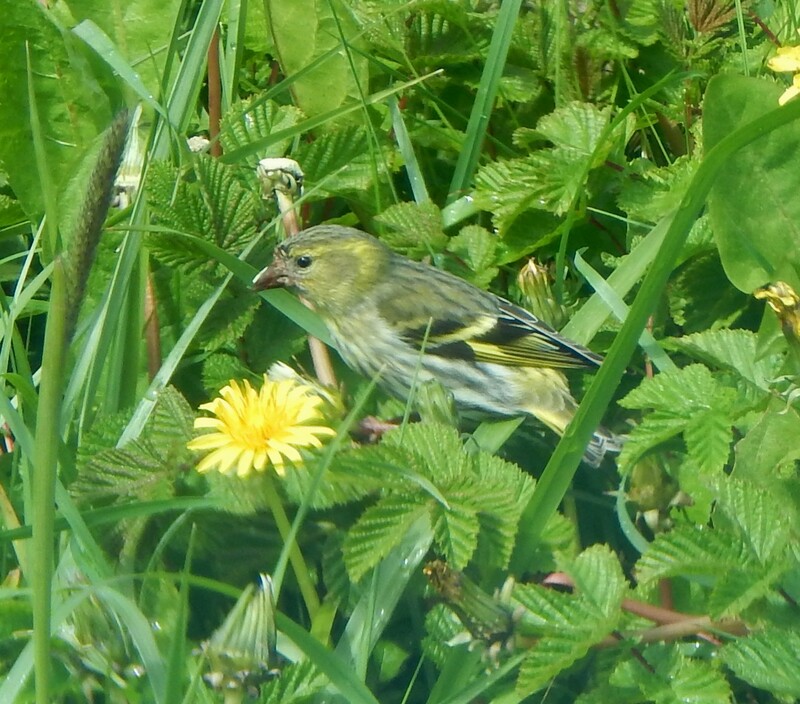 Siskin – Balephuil, Tiree 16 May (John Bowler). 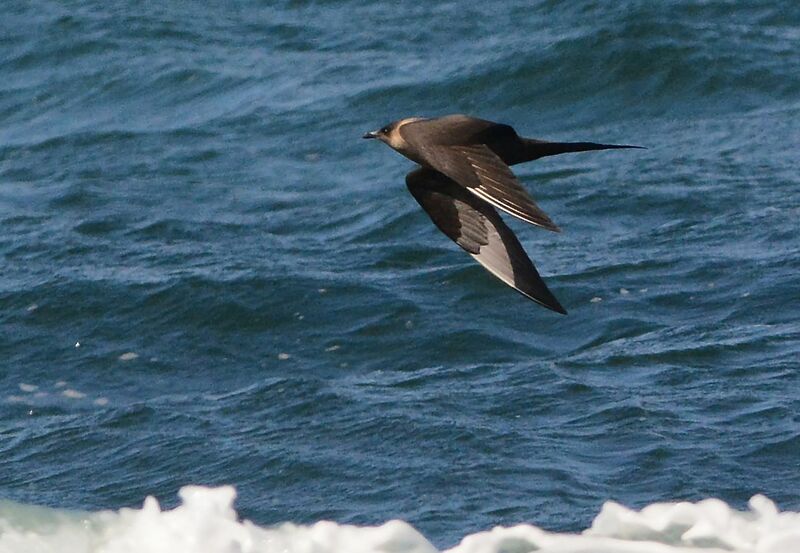 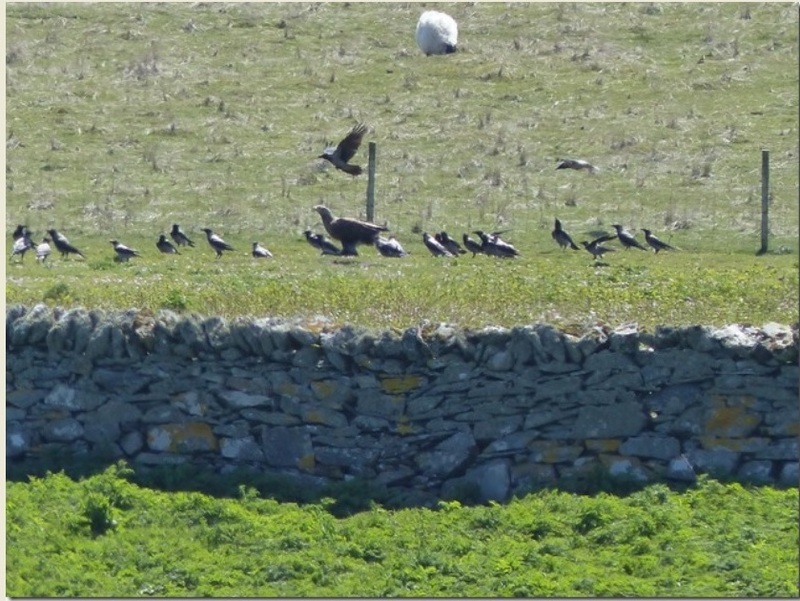 Arctic Skua – MSBO, Kintyre 16 May (Eddie Maguire). 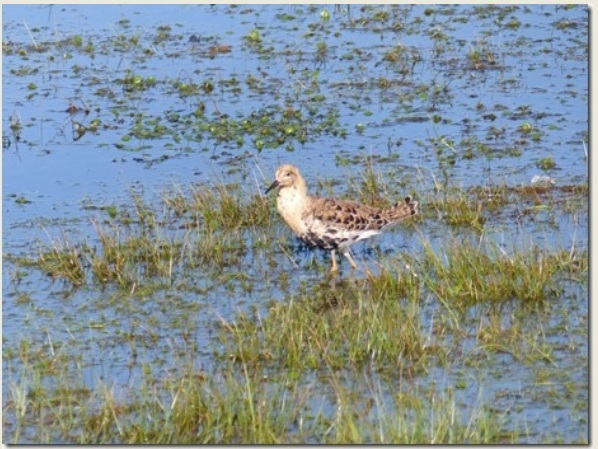 Ruff – Oronsay, Colonsay 14 May (Mike Peacock). 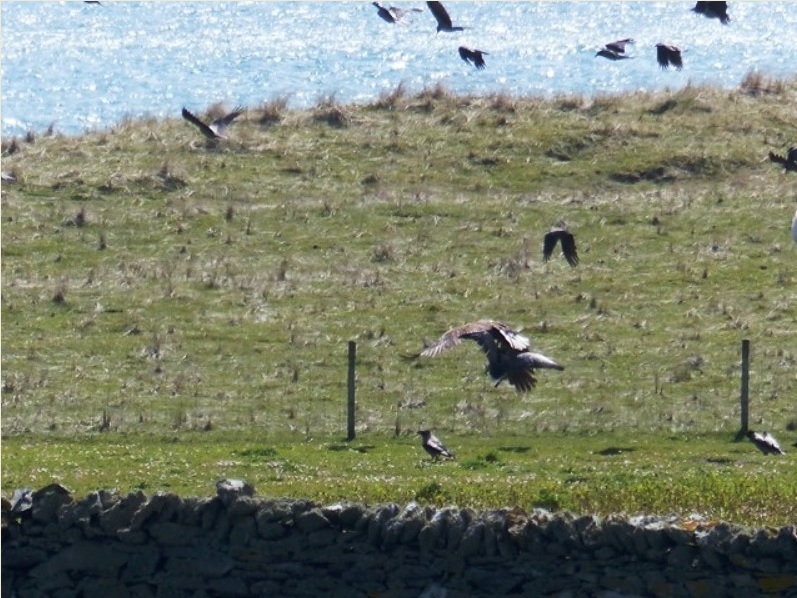 White-tailed Eagle – Oronsay, Colonsay 14 May (Mike Peacock). 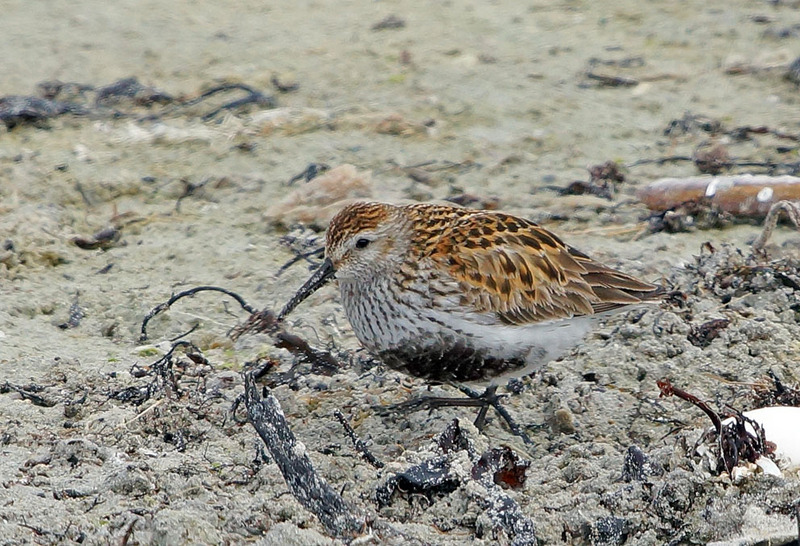 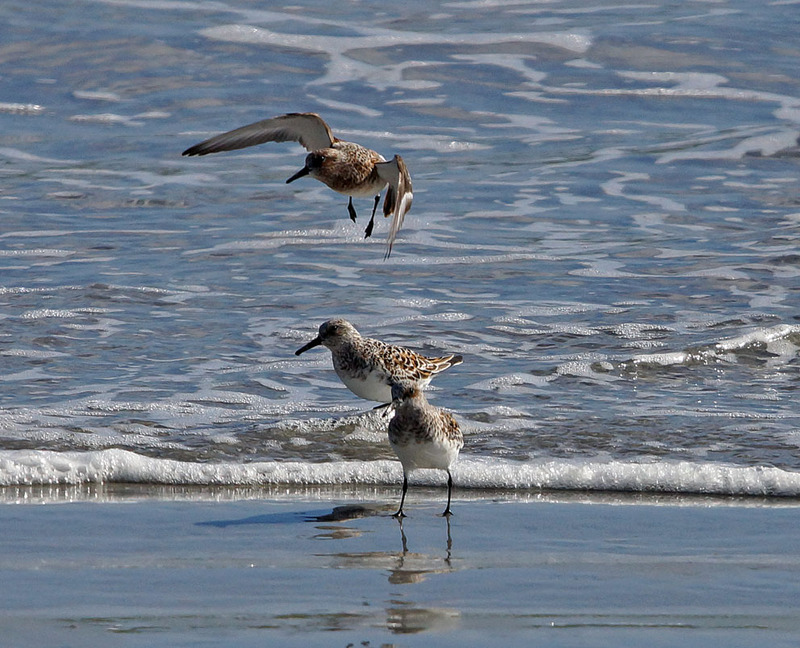 Curlew Sandpiper – Vaul Bay, Tiree 14 May (John Bowler). 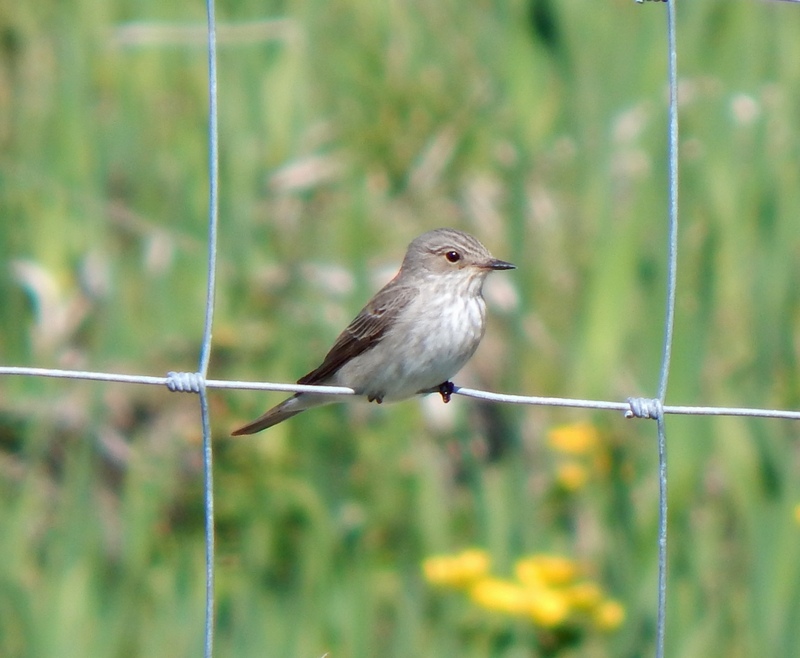 Spotted Flycatcher – Balephuil, Tiree 14 May (John Bowler). 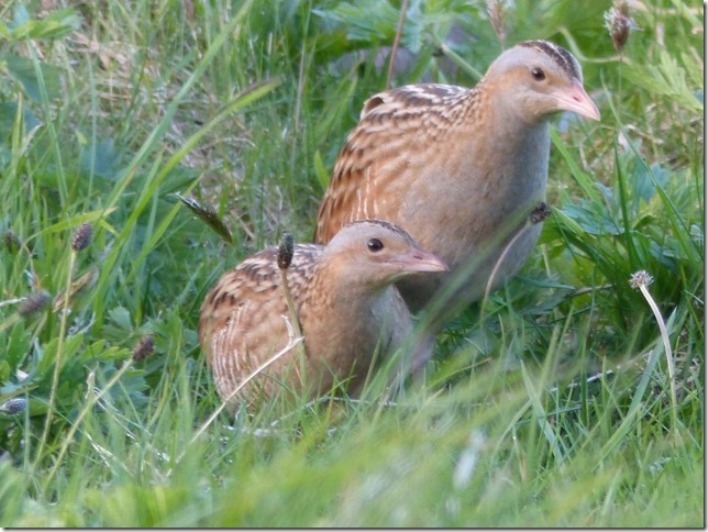 Corn Crakes – Oronsay, Colonsay 14 May (Mike Peacock). 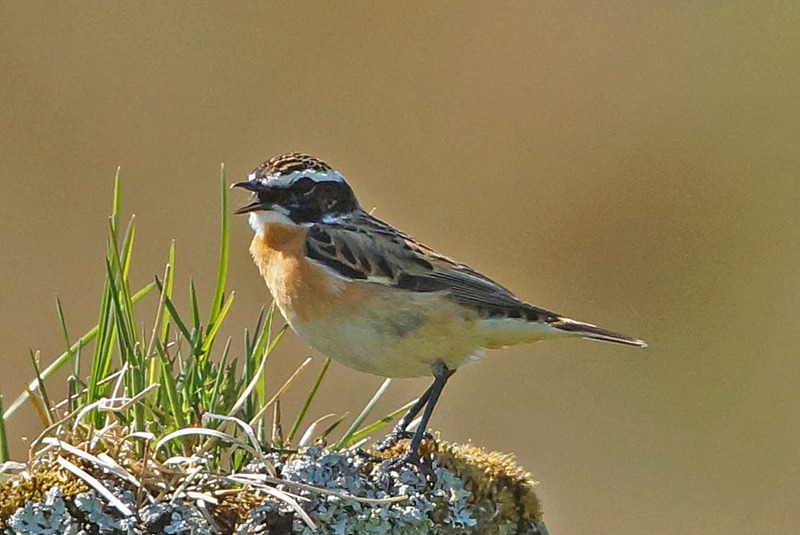 Whinchat - Dalvore (Moine Mhor), Mid-Argyll 14 May (Jim Dickson). 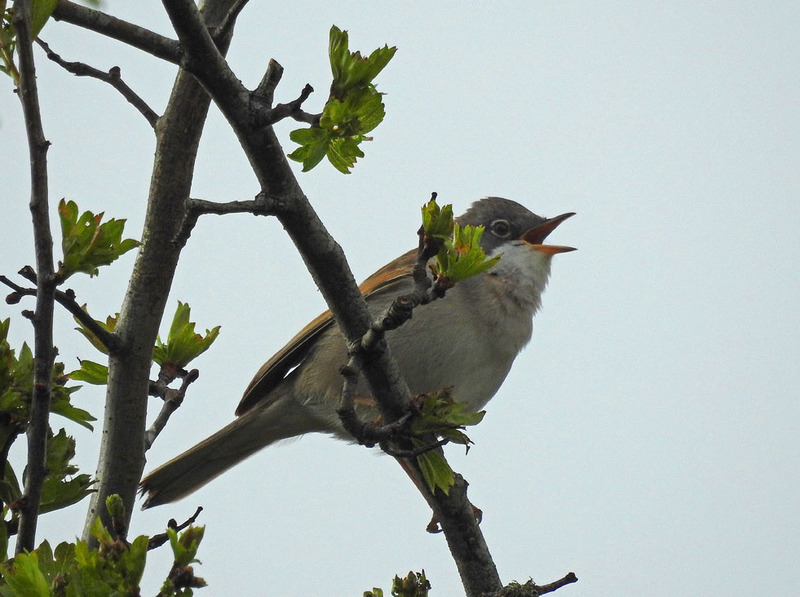 Common Whitethroat - Crinan Ferry, Mid-Argyll 13 May (Jim Dickson). 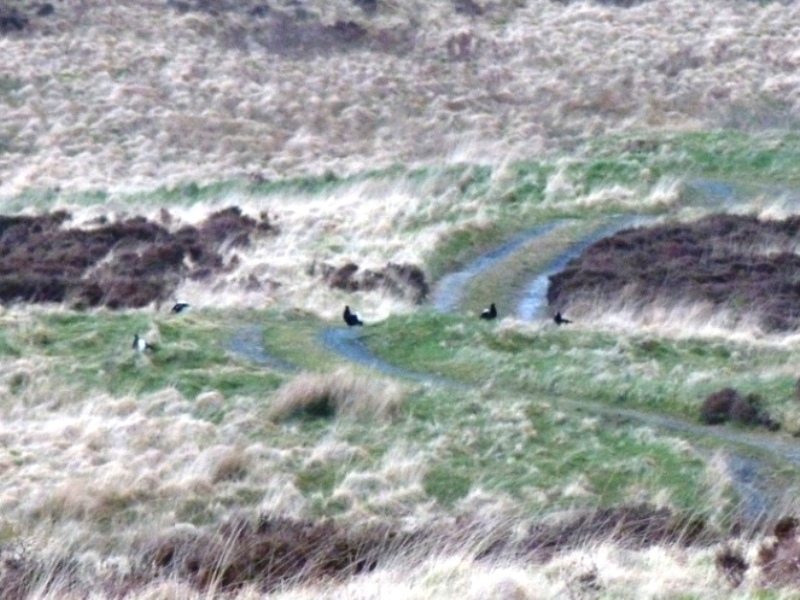 Black Grouse - above Loch Striven, Cowal 11 May (George Newall). 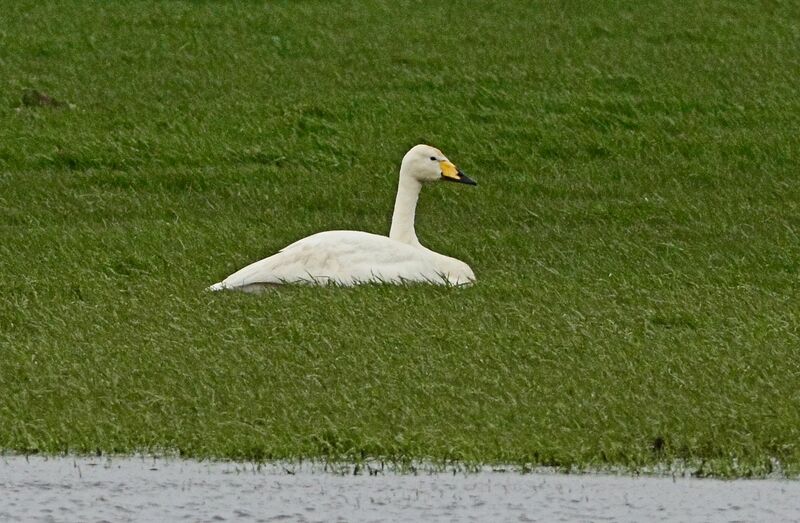 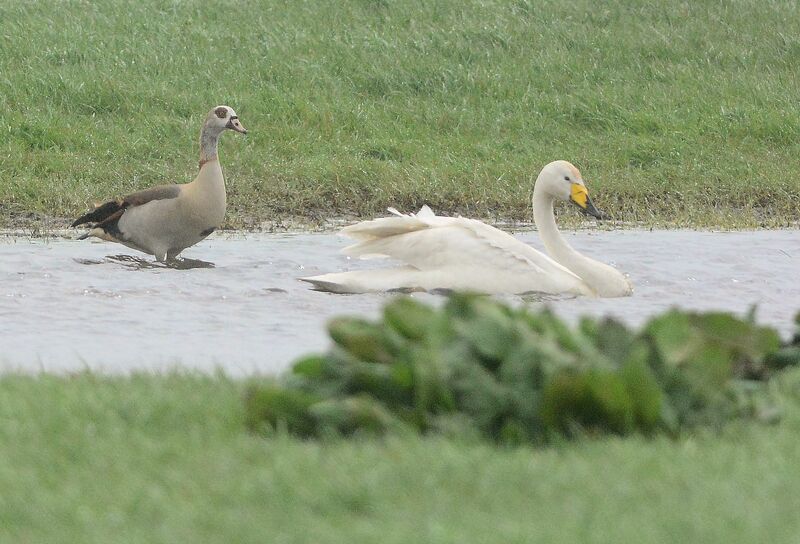 Whooper Swan - The Laggan, nr Campbeltown 10 May (Eddie Maguire). 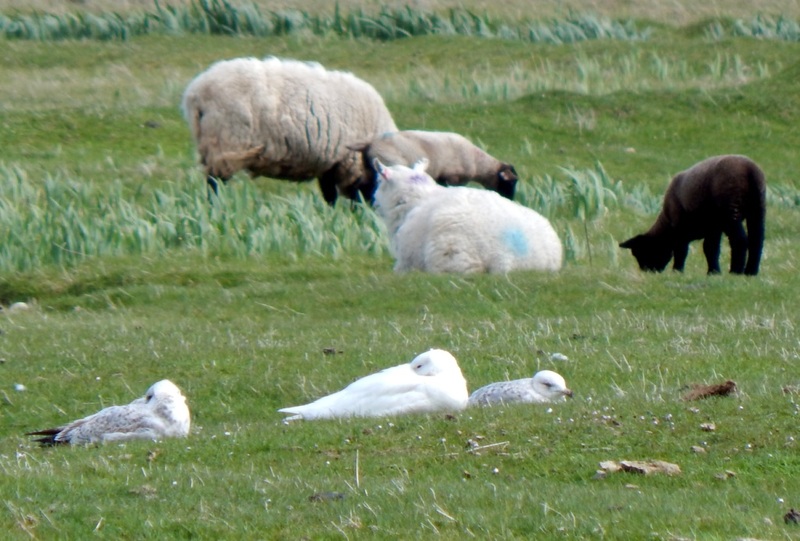 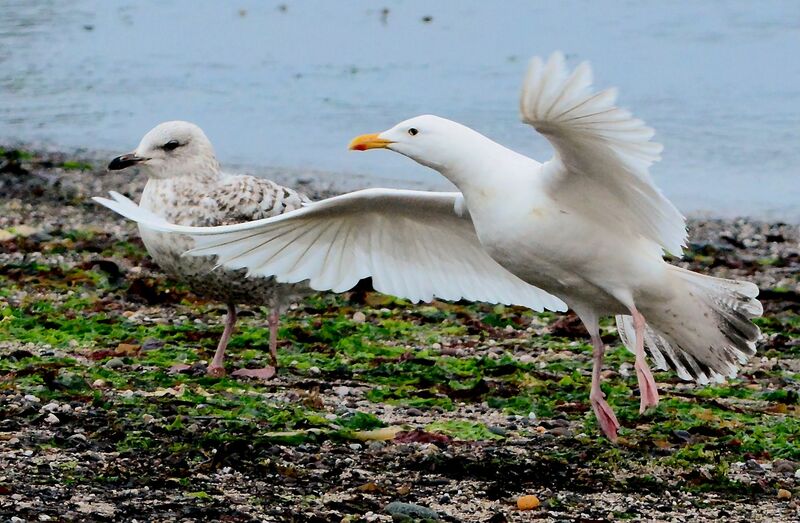 leucistic Herring Gull – MSBO, Kintyre 10 May (Eddie Maguire). 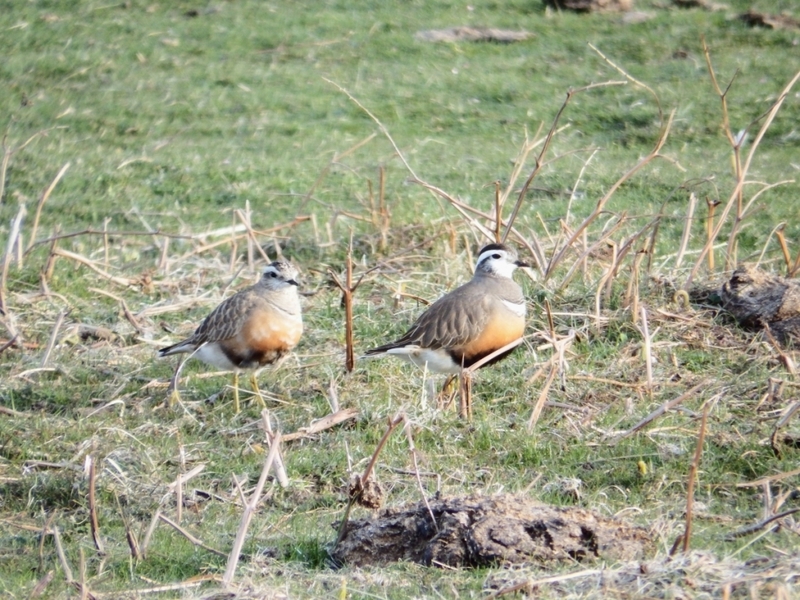 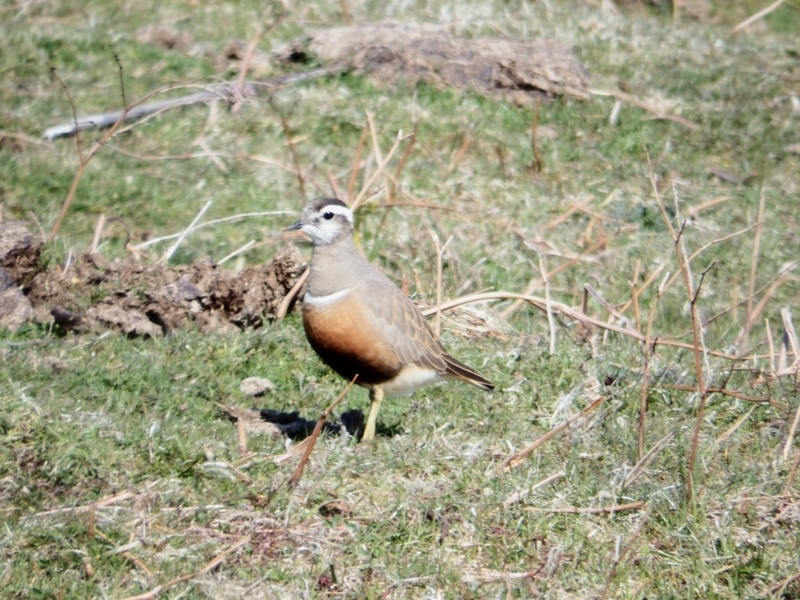 Dotterel - Oronsay, Colonsay 08 May (Morgan Vaughan). 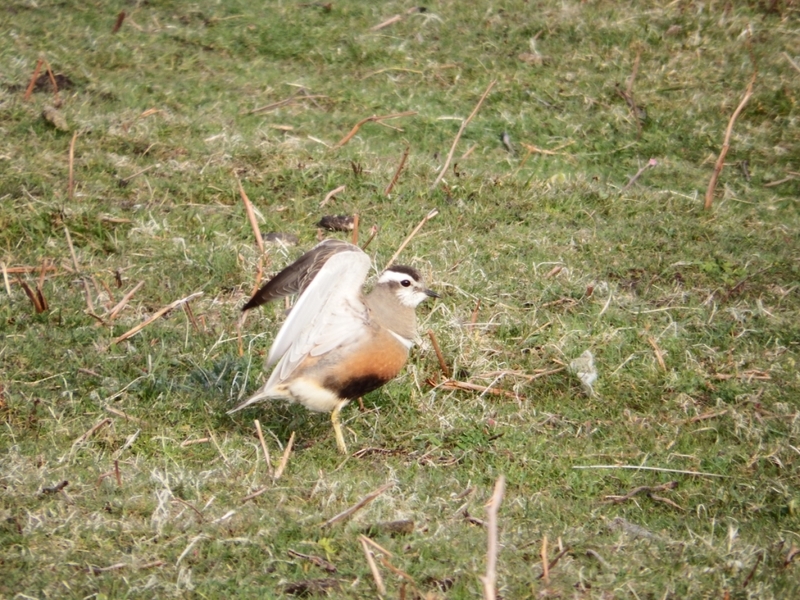 Dotterel - Oronsay, Colonsay 07 May (Morgan Vaughan). 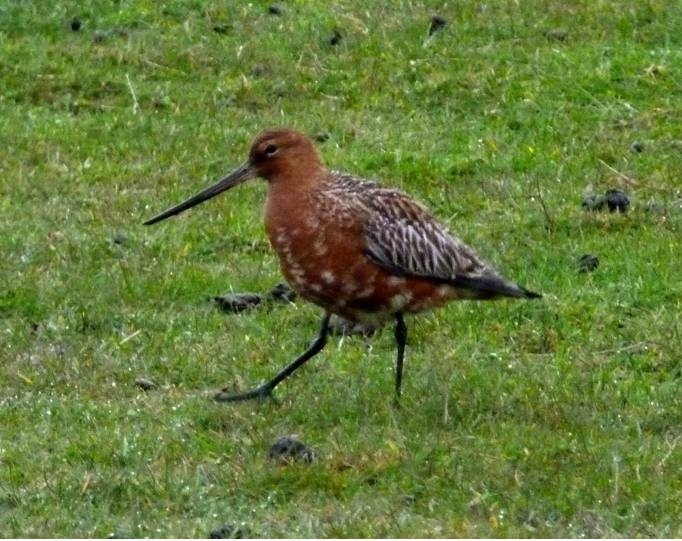 Bar-tailed Godwit - Loch Caithlim (Seil), Mid-Argyll 05 May (David Jardine). 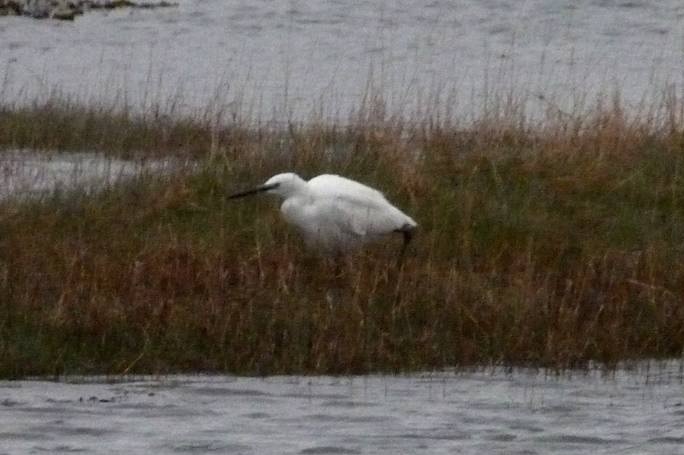 Little Egret - Balvicar, Mid-Argyll 05 May (David Jardine). 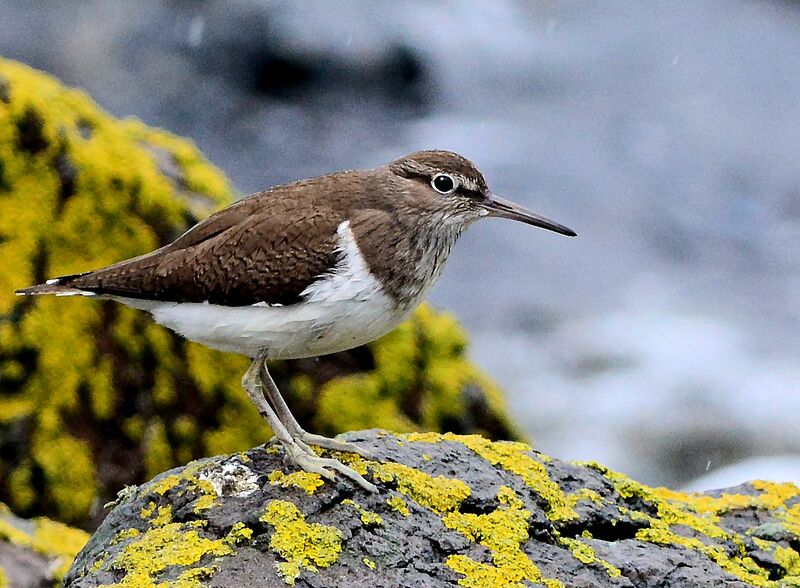 Common Sandpiper – MSBO, Kintyre 05 May (Eddie Maguire). 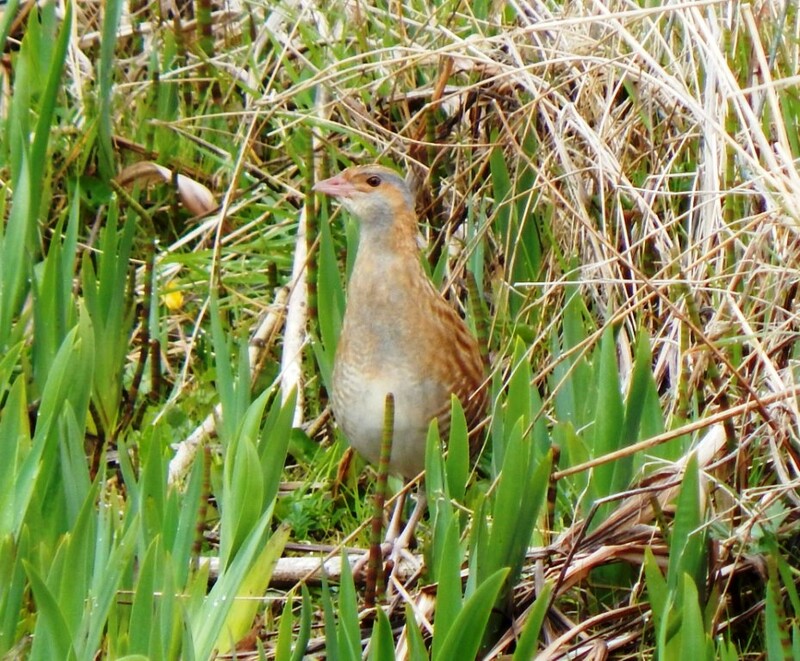 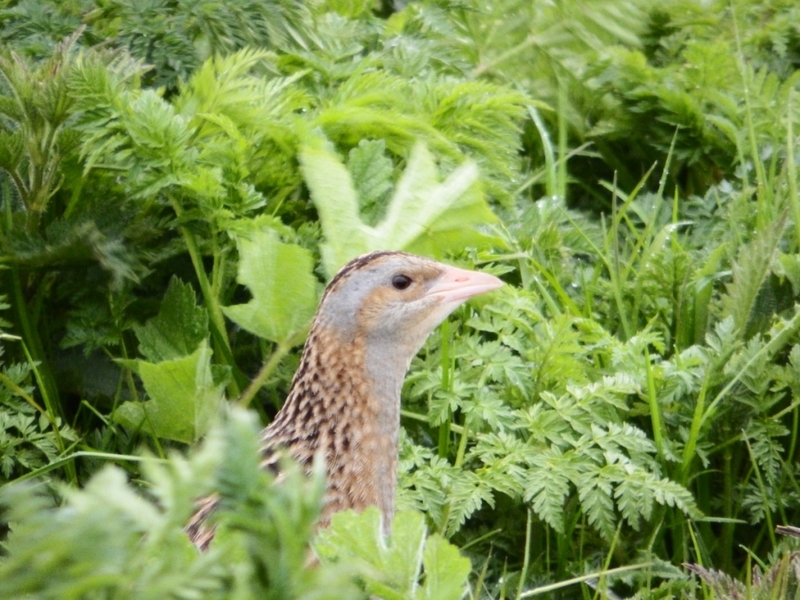 Corn Crake – Tiree 04 May (John Bowler). 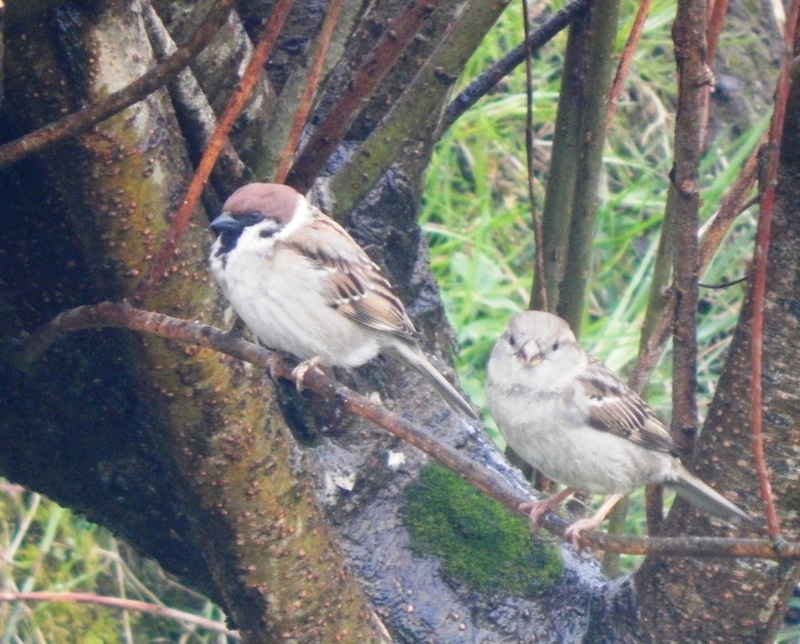 Tree Sparrow – Balephuil, Tiree 03 May (John Bowler). 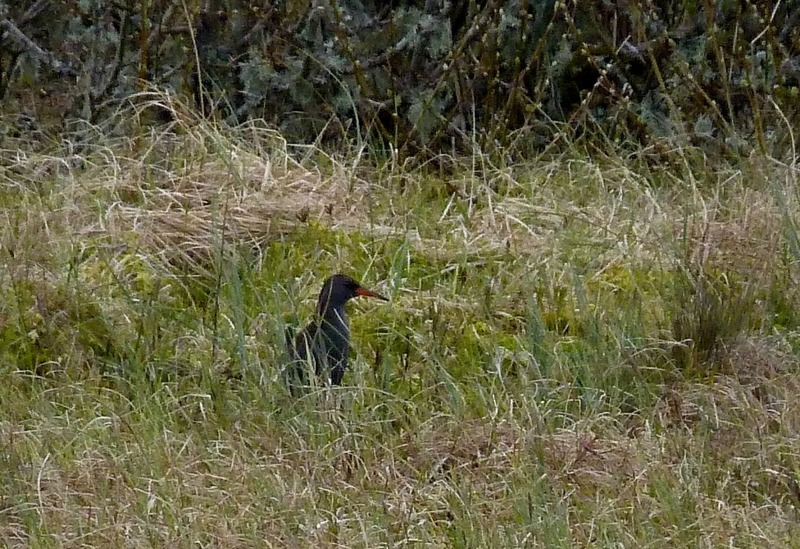 Water Rail – Lochan Iliter, Luing 02 May (David Jardine). 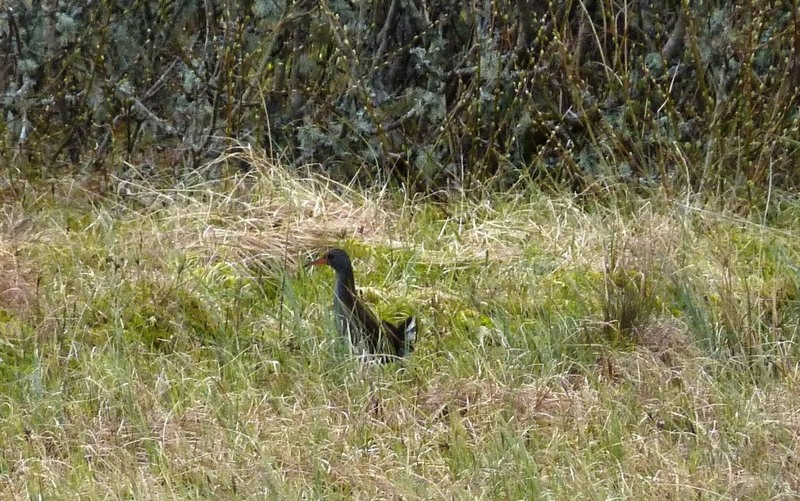 Water Rail – Balvicar, Seil Island 02 May (David Jardine). 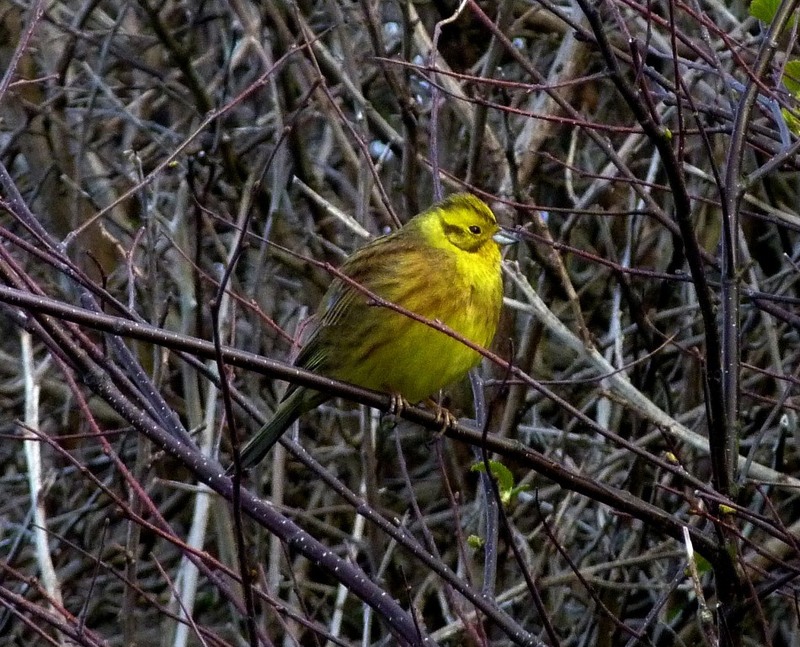 Yellowhammer - Black Mill Bay, Luing 02 May (David Jardine).